In honor of the 2014's 20th Anniversary NWOC, the organizers commissioned a new logo to replace the "Propellor O" design of years past. In honor of the 2014’s 20th Anniversary NWOC, the organizers commissioned a new logo to replace the “Propellor O” design of years past. 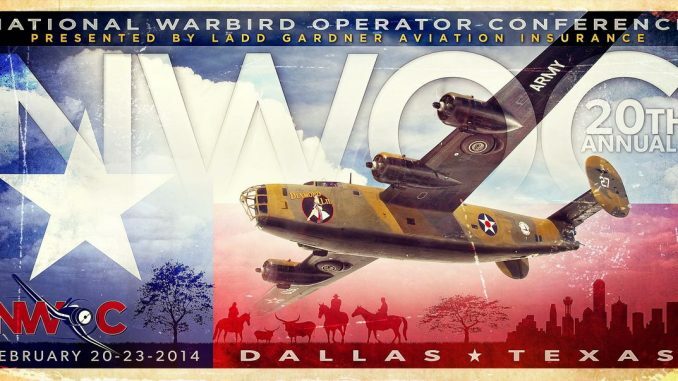 The world’s largest gathering of warbird owners, operators, maintainers and suppliers will soon meet at the 20th Anniversary National Warbird Operator Conference. The host city, Dallas, TX, featuring two major airlines hubs for easy transportation, central location for better access, a world-class convention hotel, and the generous availability of the Cavanaugh Flight Museum will roll the red carpet out Feb 20-23, 2014 for conference attendees. As in previous conferences, maintenance, operation, regulatory and physiology experts will present and be available for discussions. Vendors will exhibit their wares and offer installation/usage assistance. The Cavanaugh Flight Museum has arranged for a private NWOC opening, reception and dinner one night, and of course, 200+ of your closest aviation friends will be there to share tales. 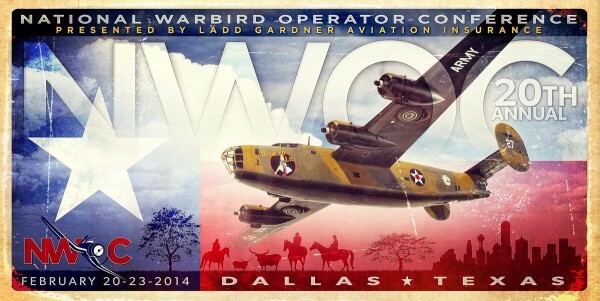 Visit the National Warbird Operator Conference‘s webiste, click HERE.